Popular heartburn drugs prescribed to prevent esophageal cancer may actually cause the disease, according to a new study in Cancer Epidemiology. The drugs include familiar names such as Prilosec, Nexium and Prevacid. They are part of a class of drugs called proton pump inhibitors. 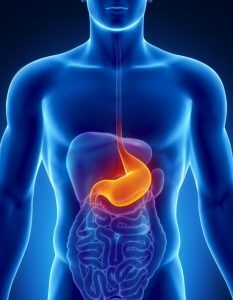 The American Gastroenterological Association recommends prescribing PPIs for all Barrett’s esophagus patients. Long-term reflux causes the condition. People with Barrett’s esophagus face a higher risk of developing esophageal cancer. Largest Ever PPI, Esophageal Cancer StudyThe Swedish study was the largest ever conducted on PPI use and esophageal cancer. It found PPI use may be responsible for more than 5 percent of esophageal cancer cases in Sweden. Researchers looked at medical records for more than 796,000 patients. This included every Swedish adult given PPI maintenance therapy between 2005 and 2012. Researchers compared those taking PPIs to the general population. They looked at cancer rates for both groups. Esophageal cancer remained rare in both groups. But the risk was higher for those taking PPIs. They concluded long-term PPI use is associated with increased esophageal cancer risk. “Long term use of PPIs should be addressed with caution,” the researchers wrote. They said their findings may cause doctors to re-evaluate PPI treatments. Critics Question PPI Study’s ResultsThere has been a dramatic increase in esophageal cancer cases since the first PPI hit the market in 1988. The rates increased six-fold between 1975 and 2001 before slowing. But critics claim this study does not make a solid connection between PPI use and cancer. “This study demonstrates an association, not a cause and effect. I would be very careful not to state that PPIs cause esophageal cancer based on these data,” Dr. Scott Gabbard of the Cleveland Clinic told Medscape. Other critics claim the study fails to account for other potential causes. It does not factor in smoking, alcohol use or obesity. Earlier Research Questioned PPI Cancer Prevention, Found Cancer RisksA 2011 study also found an increased cancer risk. University of Pittsburg researchers looked at patients taking PPIs to control reflux symptoms. They said long-term PPI use posed “significantly higher odds” of esophageal cancer. The study appeared in the journal Archives of Surgery. More recently, a 2017 study found PPIs did not prevent esophageal cancer. Another study has found PPI use can double the risk for gastric cancer in some patients. Another 2017 study in Gut warned of other cancer risks with PPI use. Researchers found some patients’ gastric cancer risk doubled with long-term PPI use. That study looked at patients treated for Helicobacter pylori infections. The study examined more 63,000 patients. It found the risk increased the longer people took PPIs.